Good Evening Malvern Arms regulars. I have some time off next week and I'd really like to do the factory tour and bring Mrs Pants along. 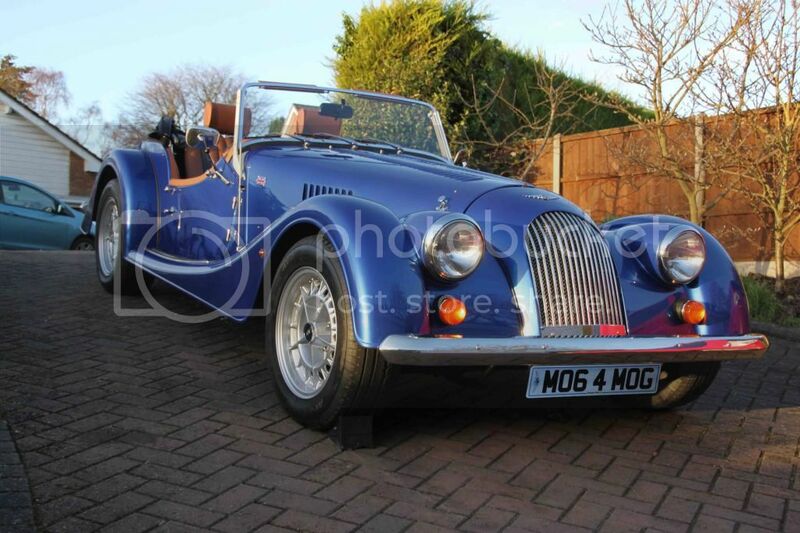 Its all part of the fiendishly clever plan to win Mrs P around to a Morgan. Does anyone have any recommendations for a top notch hotel? Sounds like it has to be The Abbey Hotel then. They charged me �90 per room per night when I stayed there in the spring, can't remember if it included breakfast, but I think it did. I wouldn't bother to stay in for dinner though! The Abbey Hotel is very central to Great Malvern , but a bit of a hike from Pickersleigh Road, the rooms are pretty traditional, rather than modern. The restaurant struggles a bit, and you will hear the noise of the Priory clock striking at all times day and night. The Cottage in the Wood , is a wonderful location. Much better restaurant , great views , and so much smaller than the Abbey. It would certainly be my choice. It is a drive away from the centre, and is very quiet indeed. If you want a chain hotel , then there are the usual Premier Inn, and Travel Lodges in Worcester. If you don't mind going over the hill , then the Feathers in Ledbury is a good traditional choice, on the main street, the restaurant used to win awards , but have not been for many a year. We have stayed at the Colwall Park just outside Malvern and we found it to be very comfortable. Thanks all for the great suggestions, now I've got too much choice. I'll see what the availability for the factory tour is like before booking the hotel. The availability will be good this time of year although you won't have the pleasure of me taking you around, unless you want to push me in a wheelchair! Sally and Judy ( my partner !) will be only too happy to recommend suitable hotels for you both. Living close I've not needed to use hotels around Malvern apart from an overnight at the Malvern Spa and have eaten often but not stayed at the Cottage in the Wood. Excellent food there and stunning views too from the terrace. I was treated to a night at the Elms for my birthday last month and that was excellent. Lovely setting, historic building and a nice spa as well. Ps. Judy has just reminded me...mention you are doing a Morgan Tour and the Abbey will give you a discount! It doesn´t matter how fast it becomes, but how it becomes fast. Cotford Hotel is excellent too, with food to match. You can then enjoy the drive to Malvern, best (IMHO) via British Camp and Jubilee Drive, along the western flank of the Malvern Hills. Simon - we've discussed before what it was like with Ernie & June - happy memories. We stayed at the Abbey before Christmas, not overly impressed, its a little faded. Well we stayed at Cottage in the woods and I can thoroughly recommend it. Very comfortable and the food was really excellent. The hotel is only 4 miles from the factory. We were shown around the factory by Martyn Webb. The Cottage is a great hotel which we like because it's half way up the hill, so ideal for walking. It also has a super size car park. The evening meal is superb, but the breakfast can be less impressive. Some of the rooms need a bit of TLC, especially in the old house, but we like it there. The wine list is award winning and huge. The evening meal is superb, but the breakfast can be less impressive. Thats absolutely spot on. I wasn't really expecting much for the evening meal as there was so few guests staying, I had that memory at the back of my mind when Basil Faulty lets the chef go early and decides to cook himself, but we met the chef (owners son I believe) and he was super smart in his whites and the food was very high quality. Unfortunately as you say the breakfast is a different affair, cooked in advance and then dished up to order. I stayed at the Cotford last night. Very good experience. Nice food, good relaxed service and a lovely building. The booking was made through Expedia and hey had a very good rate on a single. On arrival I found out that the Expedia bookings are not getting through to them for some reason so best to book direct.